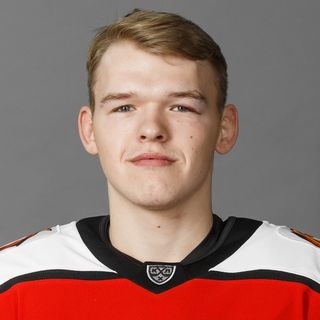 Avto Yekaterinburg’s Daniil Valitov was named the top defenseman of the 2019 Kharlamov Cup Semifinals. In this interview he speaks about his chemistry with Maxim Rasseikin, who was named the top forward of the semifinal round, mood on the eve of Kharlamov Cup Finals and flights on a plane that belong to a KHL team. – In the semifinal series against SKA-1946 you registered three assists. – Most of them on Maxim Rasseikin’s goals. He spent almost the entire season on Avtomobilist. We I was called up to KHL, we spent a lot of time together and played on the same 5-man unit. That KHL experience helped me to build a chemistry with him, which still works in the juniors – I pass and he scores. – Many believe that Avto made the finals only because of two players – Vladimir Galkin and Maxim Rasseikin. – Let them believe what they want. Perhaps, the guys stand out the most when you look at it from the side. Galkin makes great saves and Rasseikin scores when we need it. But our whole team works towards common goal. All our lines create scoring chances, we put pressure on our opponents’ defense to score goals. So everyone on the team chips in on every goal we score. In any case, I’m happy for the guys. Galkin and Rasseikin provide a huge help. – Galkin joked that he wanted to make the finals just to enjoy another flight on Avtomobilist’s plane. – Avtomobilist gave us their charter so we could travel to St. Petersburg. It’s a great plane. Guys who flew it the first time, really enjoyed it. I remember when I was riding it with our KHL team. It was jaw-dropping. They have really comfortable chairs, which you can fold almost into a real bed. Plus there’s great service on board and tasty food. – Several Avto players took a picture in the cockpit after Game 5. – I went in there as well. Flight attendants know me from trips with Avtomobilist. They asked the pilots if we could come in. They let us in right during the flight and the pilots were ready to answer our questions. But they didn’t let us celebrate the win onboard. Since it’s our KHL team’s plane, we were told not to break anything and return it in one piece. Besides, team management was also on board, including Avtomobilist sports director Oleg Iaganesovich Gross. – Do you feel like Yekaterinburg’s top team after making it to Kharlamov Cup Finals? – No, I don’t feel that way. It’s just great to see so many fans coming to the games and supporting us as if we were the pro team. In terms of atmosphere, the fans are doing a great job. Everyone’s happy that Yekaterinburg’s team is winning. – Have you ever played in the finals? – I had never had the chance. Maybe in videogames (laughs). When I was a kid, I obviously competed in the finals of several tournaments, but I don’t remember them well anymore. When I was in junior hockey school, I never played in such games. I don’t feel nervous. This is my third Junior Hockey League season and we made the playoffs every year. We have the experience, there’s no pressure on us. We’re just going to step onto the ice and play our game.